Chapter 1 - Civil Procedure. § 1-4. Kinds of actions. § 1-7. When court means clerk. Article 2 - General Provisions. § 1-8. Remedies not merged. § 1-9. Repealed by Session Laws 1967, c. 954, s. 4. § 1-10. Plaintiff and defendant. § 1-11. How party may appear. § 1-12. Repealed by Session Laws 1967, c. 954, s. 4. § 1-13. Jurisdiction of clerk. Article 3 - Limitations, General Provisions. § 1-14. Repealed by Session Laws 1967, c. 954, s. 4. § 1-15. Statute runs from accrual of action. § 1-15.1. Statutes of limitation and repose for civil actions seeking to recover damages arising out of a criminal act. § 1-16. Repealed by Session Laws 1967, c. 954, s. 4. § 1-18. Disability of marriage. § 1-20. Disability must exist when right of action accrues. § 1-21. Defendant out of State; when action begun or judgment enforced. § 1-22. Death before limitation expires; action by or against personal representative or collector. § 1-23. Time of stay by injunction or prohibition. § 1-24. Time during controversy on probate of will or granting letters. § 1-25. Repealed by Session Laws 1967, c. 954, s. 4. § 1-26. New promise must be in writing. § 1-27. Act, admission or acknowledgment by party to obligation, co-obligor or guarantor. § 1-30. Applicable to actions by State. § 1-31. Action upon a mutual, open and current account. § 1-32. Not applicable to bank bills. § 1-33. Actions against bank directors or stockholders. § 1-34. Aliens in time of war. Article 4 - Limitations, Real Property. § 1-35. Title against State. § 1-36. Title presumed out of State. § 1-37. Such possession valid against claimants under State. § 1-38. Seven years' possession under color of title. § 1-39. Seizin within twenty years necessary. § 1-40. Twenty years adverse possession. § 1-41. Action after entry. § 1-42. Possession follows legal title; severance of surface and subsurface rights. § 1-42.1. Certain ancient mineral claims extinguished in certain counties. § 1-42.2. Certain additional ancient mineral claims extinguished; oil, gas and mineral interests to be recorded and listed for taxation. § 1-42.3. Additional ancient mineral claims extinguished in certain counties; oil, gas and mineral interests to be recorded and listed for taxation in such counties. § 1-42.4. Additional ancient mineral claims extinguished in Ashe County; oil, gas and mineral interests to be recorded and listed for taxation. § 1-42.5. Additional ancient mineral claims extinguished in Avery County; oil, gas and mineral interests to be recorded in such county. § 1-42.6. Additional ancient oil, gas or mineral interests extinguished in Alleghany County; recording interests; listing interests for taxation. § 1-42.7.  Additional amount mineral claims extinguished in Chatham County; oil, gas and mineral interests to be recorded and listed for taxation. § 1-42.8. Ancient mineral claims extinguished in Rutherford County; oil, gas and mineral interests to be recorded and listed for taxation. § 1-42.9. Ancient mineral claims extinguished in certain counties; oil, gas and mineral interests to be recorded and listed for taxation. § 1-43. Tenant's possession is landlord's. § 1-44. No title by possession of right-of-way. § 1-44.1. Presumption of abandonment of railroad right-of-way. § 1-44.2. Presumptive ownership of abandoned railroad easements. § 1-45. No title by possession of public ways. § 1-45.1. No adverse possession of property subject to public trust rights. Article 5 - Limitations, Other Than Real Property. § 1-48. Transferred to § 1-54, subdivision (6), by Session Laws 1951, c. 837, s. 2. Article 5A - Limitations, Actions Not Otherwise Limited. § 1-56. All other actions, 10 years. § 1-57. Real party in interest; grantees and assignees. § 1-58. Suits for penalties. § 1-59. Suit for penalty, plaintiff may reply fraud to plea of release. § 1-60. Suit on bonds; defendant may plead satisfaction. § 1-61. Repealed by Session Laws 1967, c. 954, s. 4. § 1-62. Action by purchaser under judicial sale. §§ 1-63 through 1-64. Repealed by Session Laws 1967, c. 954, s. 4. §§ 1-65 through 1-65.4. Repealed by Session Laws 1967, c. 954, s. 4. § 1-65.5. Repealed by Session Laws 1969, c. 895, s. 19. §§ 1-66 through 1-69. Repealed by Session Laws 1967, c. 954, s. 4. § 1-69.1. Unincorporated associations and partnerships; suit by or against. §§ 1-70 through 1-71. Repealed by Session Laws 1967, c. 954, s. 4. § 1-72. Persons jointly liable. § 1-72.1. Procedure to assert right of access. § 1-72.2. Standing of legislative officers. § 1-72.3. State a party to certain actions. §§ 1-73 through 1-75. Repealed by Session Laws 1967, c. 954, s. 4. § 1-75.3. Jurisdictional requirements for judgments against persons, status and things. § 1-75.4. Personal jurisdiction, grounds for generally. § 1-75.5. Joinder of causes in the same action. § 1-75.6. Personal jurisdiction - Manner of exercising by service of process. § 1-75.7. Personal jurisdiction - Grounds for without service of summons. § 1-75.8. Jurisdiction in rem or quasi in rem - Grounds for generally. § 1-75.9. Jurisdiction in rem or quasi in rem - Manner of exercising. § 1-75.10. Proof of service of summons, defendant appearing in action. § 1-75.11. Judgment against nonappearing defendant, proof of jurisdiction. § 1-75.12. Stay of proceeding to permit trial in a foreign jurisdiction or filing of a bankruptcy trust claim. § 1-76. Where subject of action situated. § 1-76.1. Where deficiency debtor resides or where loan was negotiated. § 1-77. Where cause of action arose. § 1-78. Official bonds, executors and administrators. § 1-79. Domestic corporations, limited partnerships, limited liability companies, and registered limited liability partnerships. § 1-81. Actions against railroads. § 1-81.1. Venue in apportionment or redistricting cases; certain injunctive relief actions. § 1-82. Venue in all other cases. § 1-83. Change of venue. § 1-84. Removal for fair trial. § 1-85. Affidavits on hearing for removal; when removal ordered. § 1-86. Repealed by Session Laws 1967, c. 218, s. 4. § 1-87. Transcript of removal; subsequent proceedings; depositions. § 1-87.1. Repealed by Session Laws 1967, c. 954, s. 4. § 1-87.2: Reserved for future codification purposes. § 1-87.3: Reserved for future codification purposes. § 1-87.4: Reserved for future codification purposes. § 1-87.5: Reserved for future codification purposes. § 1-87.6: Reserved for future codification purposes. § 1-87.7: Reserved for future codification purposes. § 1-87.8: Reserved for future codification purposes. § 1-87.9: Reserved for future codification purposes. § 1-87.10: Reserved for future codification purposes. § 1-87.11: Reserved for future codification purposes. Article 7A - Application of Foreign Law. § 1-87.14. Nonapplication of foreign law that would violate fundamental constitutional rights. § 1-87.15. Interpretation of contracts providing for choice of foreign law. § 1-87.16. Interpretation of contracts providing for choice of foreign venue or forum. § 1-87.17. Motions to transfer proceedings to a foreign venue or forum. § 1-87.18. Contracts not capable of modification to preserve fundamental constitutional rights void. § 1-87.19. Strict construction of waivers of constitutional rights. §§ 1-88 through 1-91. Repealed by Session Laws 1967, c. 954, s. 4. §§ 1-92 through 1-93. Repealed by Session Laws 1971, c. 268, s. 34. §§ 1-94 through 1-98. Repealed by Session Laws 1967, c. 954, s. 4. §§ 1-98.1 through 1-98.4. Repealed by Session Laws 1971, c. 1093, s. 19. § 1-99. Repealed by Session Laws 1967, c. 954, s. 4. §§ 1-99.1 through 1-99.4. Repealed by Session Laws 1971, c. 1093, s. 19. §§ 1-100 through 1-104. Repealed by Session Laws 1967, c. 954, s. 4. § 1-105. Service upon nonresident drivers of motor vehicles and upon the personal representatives of deceased nonresident drivers of motor vehicles. § 1-105.1. Service on residents who establish residence outside the State and on residents who depart from the State. §§ 1-106 through 1-107.3. Repealed by Session laws 1967, c. 954, s. 4. § 1-108. Defense after judgment set aside. Article 9 - Prosecution Bonds. § 1-109. Bond required of plaintiff for costs. § 1-110. Suit as an indigent; counsel; suits filed pro se by prison inmates. § 1-111. Defendant's, for costs and damages in actions for land. § 1-112. Defense without bond. Article 10 - Joint and Several Debtors. § 1-113. Defendants jointly or severally liable. § 1-114. Summoned after judgment; defense. § 1-115: Repealed by Session Laws 1969, c. 954, s. 4. Article 11 - Lis Pendens. § 1-116. Filing of notice of suit. § 1-116.1. Service of notice. § 1-117. Cross-index of lis pendens. § 1-118. Effect on subsequent purchasers. § 1-119. Notice void unless action prosecuted. § 1-120. Cancellation of notice. § 1-120.1. Article applicable to suits in federal courts. § 1-120.2. Filing of notice by cities and counties in certain cases. §§ 1-121 through 1-123: Repealed by Session Laws 1967, c. 954, s. 4. Article 13 - Defendant’s Pleadings. §§ 1-124 through 1-126. Repealed by Session Laws 1967, c. 954, s. 4. §§ 1-127 through 1-134. Repealed by Session Laws 1967, c. 954, s. 4. §§ 1-134.1 through 1-138. Repealed by Session Laws 1967, c. 954, s. 4. § 1-139. Burden of proof of contributory negligence. §§ 1-140 through 1-142. Repealed by Session Laws 1967, c. 954, s. 4. Article 17 - Pleadings, General Provisions. §§ 1-143 through 1-147. Repealed by Session Laws 1967, c. 954, s. 4. § 1-148. Verification before what officer. § 1-149. When verification omitted; use in criminal prosecutions. §§ 1-150 through 1-160. Repealed by Session Laws 1967, c. 954, s. 4. §§ 1-161 through 1-163. Repealed by Session Laws 1967, c. 954, s. 4. § 1-164. Amendment changing nature of action or relief; effect. § 1-165. Repealed by Session Laws 1967, c. 954, s. 4. § 1-166. Defendant sued in fictitious name; amendment. §§ 1-167 through 1-169. Repealed by Session Laws 1967, c. 954, s. 4. Article 18A - Pretrial Hearings. §§ 1-169.1 through 1-169.6. Repealed by Session Laws 1967, c. 954, s. 4. §§ 1-170 through 1-173. Repealed by Session Laws 1967, c. 954, s. 4. § 1-174: Repealed by Session Laws 1999-216, s.2. §§ 1-175 through 1-179. Repealed by Session Laws 1967, c. 954, s. 4. § 1-180. Repealed by Session Laws 1977, c. 711, s. 33. § 1-180.1. Judge not to comment on verdict. § 1-181. Requests for special instructions. § 1-181.1. View by jury. § 1-181.2. Use of evidence by the jury. § 1-182. Repealed by Session Laws 1977, c. 776. § 1-183. Repealed by Session Laws 1967, c. 954, s. 4. § 1-183.1. Effect on counterclaim of dismissal as to plaintiff's claim. §§ 1-184 through 1-185. Repealed by Session Laws 1967, c. 954, s. 4. § 1-186. Exceptions to decision of court. § 1-187. Repealed by Session Laws 1967, c. 954, s. 4. §§ 1-188 through 1-195. Repealed by Session Laws 1967, c. 954, s. 4. §§ 1-196 through 1-200. Repealed by Session Laws 1967, c. 954, s. 4. Article 22 - Verdict and Exceptions. § 1-201. Repealed by Session Laws 1967, c. 954, s. 4. § 1-202. Special controls general. §§ 1-203 through 1-207. Repealed by Session Laws 1967, c. 954, s. 4. § 1-208. Repealed by Session Laws 1967, c. 954, s. 4. § 1-208.1. Judgment docket, judgment and docket book defined. § 1-209. Judgments authorized to be entered by clerk; sale of property; continuance pending sale; writs of assistance and possession. § 1-209.1. Petitioner who abandons condemnation proceeding taxed with fee for respondent's attorney. § 1-209.2. Voluntary nonsuit by petitioner in condemnation proceeding. § 1-210. Return of execution; order for disbursement of proceeds. §§ 1-211 through 1-215. Repealed by Session Laws 1967, c. 954, s. 4. § 1-215.1. Judgments or orders not rendered on Mondays validated. § 1-215.2. Time within which judgments or orders signed on days other than Mondays may be attacked. § 1-215.3. Validation of conveyances pursuant to orders made on days other than Mondays. § 1-216. Repealed by Session Laws 1943, c. 301, s. 3. § 1-217. Certain default judgments validated. § 1-217.1. Judgments based on summons erroneously designated alias or pluries validated. § 1-217.2. Judgments by default to remove cloud from title to real estate validated. §§ 1-218 through 1-222. Repealed by Session Laws 1967, c. 954, s. 4. § 1-223. Against married persons. §§ 1-224 through 1-227. Repealed by Session Laws 1967, c. 954, s. 4. § 1-228. Regarded as a deed and registered. § 1-229. Certified registered copy evidence. § 1-230. In action for recovery of personal property. § 1-231. What judge approves judgments. § 1-233. Docketed and indexed. § 1-234. Where and how docketed; lien. § 1-235. Of appellate division docketed in superior court; lien. § 1-236. Repealed by Session Laws 1971, c. 268, s. 34. § 1-236.1. Transcripts of judgments certified by deputy clerks validated. § 1-237. Judgments of federal courts docketed; lien on property; recordation; conformity with federal law. § 1-238. Repealed by Session Laws 1943, c. 543. § 1-239. Paid to clerk; docket credited; transcript to other counties; notice to attorney for judgment creditor; judgment creditor to give notice of payment; entry of payment on docket; penalty for failure to give notice of payment. § 1-239.1. Records of cancellation, assignment, etc., of judgments recorded by photographic process. § 1-240. Repealed by Session Laws 1967, c. 847, s. 2. § 1-241. Clerk to pay money to party entitled. § 1-242. Credits upon judgments. § 1-243. For money due on judicial sale. § 1-244. Repealed by Session Laws 1971, c. 268, s. 34. § 1-245. Cancellation of judgments discharged through bankruptcy proceedings. § 1-246. Assignment of judgment to be entered on judgment docket, signed and witnessed. Article 24 - Confession of Judgment. §§ 1-247 through 1-249. Repealed by Session Laws 1967, c. 954, s. 4. Article 25 - Submission of Controversy without Action. §§ 1-250 through 1-252. Repealed by Session Laws 1967, c. 954, s. 4. Article 26 - Declaratory Judgments. Article 26A - Three-Judge Panel for Redistricting Challenges and for Certain Challenges to State Laws. § 1-267.1. Three-judge panel for actions challenging plans apportioning or redistricting State legislative or congressional districts; claims challenging the facial validity of an act of the General Assembly. Article 26B - Distribution of Unpaid Residuals in Class Action Litigation. § 1-267.10. Distribution of unpaid residuals in class action litigation. § 1-268. Writs of error abolished. § 1-269. Certiorari, recordari, and supersedeas. § 1-270. Appeal to appellate division; security on appeal; stay. § 1-271. Who may appeal. §§ 1-272 through 1-276: Repealed by Session Laws 1999-216, s. 2. § 1-277. Appeal from superior or district court judge. § 1-278. Interlocutory orders reviewed on appeal from judgment. § 1-279. Repealed by Session Laws 1989, c.377, s. 1. § 1-279.1. Manner and time for giving notice of appeal to appellate division in civil actions and in special proceedings. § 1-280. Repealed by Session Laws 1975, c. 391, s. 4. § 1-281. Appeals from judgments not in session. § 1-282. Repealed by Session Laws 1975, c. 391, s. 7. § 1-283. Trial judge empowered to settle record on appeal; effect of leaving office or of disability. § 1-284. Repealed by Session Laws 1975, c. 391, s. 9. § 1-285. Undertaking on appeal. § 1-286. Justification of sureties. § 1-287. Repealed by Session Laws 1975, c. 391, s. 2. § 1-287.1. Repealed by Session Laws 1975, c. 391, s. 10. § 1-288. Appeals by indigents; clerk's fees. § 1-289. Undertaking to stay execution on money judgment. § 1-290. How judgment for personal property stayed. § 1-291. How judgment directing conveyance stayed. § 1-292. How judgment for real property stayed. § 1-293. Docket entry of stay. § 1-294. Scope of stay; security limited for fiduciaries. § 1-295. Undertaking in one or more instruments; served on appellee. § 1-296. Judgment not vacated by stay. § 1-297. Judgment on appeal and on undertakings; restitution. § 1-298. Procedure after determination of appeal. §§ 1-299 through 1-301: Repealed by Session Laws 1971, c. 268, s. 34. Article 27A - Appeals and Transfers from the Clerk. § 1-301.1. Appeal of clerk's decision in civil actions. § 1-301.2. Transfer or appeal of special proceedings; exceptions. § 1-301.3. Appeal of trust and estate matters determined by clerk. § 1-302. Judgment enforced by execution. § 1-303. Kinds of; signed by clerk; when sealed. § 1-304. Against married woman. § 1-305. Clerk to issue, in six weeks; penalty; limitations on issuance. § 1-306. Enforcement as of course. § 1-307. Issued from and returned to court of rendition. § 1-308. To what counties issued. § 1-309. Sale of land under execution. § 1-310. When dated and returnable. § 1-311. Against the person. § 1-312. Rights against property of defendant dying in execution. § 1-313. Form of execution. § 1-314. Variance between judgment and execution. § 1-315. Property liable to sale under execution; bill of sale. § 1-316. Sale of trust estates; purchaser's title. § 1-317. Sheriff's deed on sale of equity of redemption. § 1-318. Forthcoming bond for personal property. § 1-319. Procedure on giving bond; subsequent levies. § 1-320. Summary remedy on forthcoming bond. § 1-321. Entry of returns on judgment docket; penalty. § 1-322. Cost of keeping livestock; officer's account. § 1-323. Purchaser of defective title; remedy against defendant. § 1-324. Repealed by Session Laws 1949, c. 719, s. 2. § 1-324.1. Judgment against corporation; property subject to execution. § 1-324.2. Agent must furnish information as to corporate officers and property. § 1-324.3. Shares subject to execution; agent must furnish information. § 1-324.4. Debts due corporation subject to execution; duty, etc., of agent. § 1-324.5. Violations of three preceding sections misdemeanor. § 1-324.6. Proceedings when custodian of corporate books is a nonresident. § 1-324.7. Duty and liability of nonresident custodian. Article 29 - Execution and Judicial Sales. §§ 1-325 through 1-328. Repealed by Session Laws 1949, c. 719, s. 2. § 1-329. Transferred to § 1-339.72 by Session Laws 1949, c. 719, s. 3. § 1-330. Repealed by Session Laws 1949, c. 719, s. 2. § 1-331. Transferred to § 1-339.73 by Session Laws 1949, c. 719, s. 3. § 1-332. Transferred to § 1-339.74 by Session Laws 1949, c. 719, s. 3. §§ 1-333 through 1-334. Repealed by Session Laws 1949, c. 719, s. 2. § 1-335. Transferred to § 1-339.75 by Session Laws 1949, c. 719, s. 3. § 1-336. Repealed by Session Laws 1949, c. 719, s. 2. § 1-337. Transferred to § 1-339.49 by Session Laws 1949, c. 719, s. 2. § 1-338. Transferred to § 1-339.50 by Session Laws 1949, c. 719, s. 2. § 1-339. Repealed by Session Laws 1949, c. 719, s. 2. Article 29A - Judicial Sales. § 1-339.2. Application of Part 1. § 1-339.3. Application of Article to sale ordered by clerk; by judge; authority to fix procedural details. § 1-339.3A. Judge or clerk may order public or private sale. § 1-339.4. Who may hold sale. § 1-339.5. Days on which sale may be held. § 1-339.6. Place of public sale. § 1-339.7. Presence of personal property at public sale required. § 1-339.8. Public sale of separate tracts in different counties. § 1-339.9. Sale as a whole or in parts. § 1-339.10. Bond of person holding sale. § 1-339.11. Compensation of person holding sale. § 1-339.12. Clerk's authority to compel report or accounting; contempt proceeding. § 1-339.13. Public sale; order of sale. § 1-339.13A. Public sale of timber by sealed bid; appraisal; bid procedure. § 1-339.14. Public sale; judge's approval of clerk's order of sale. § 1-339.15. Public sale; contents of notice of sale. § 1-339.16. Public sale; time for beginning advertisement. § 1-339.17. Public sale; posting and publishing notice of sale of real property. § 1-339.18. Public sale; posting notice of sale of personal property. § 1-339.19. Public sale; exception; perishable property. § 1-339.20. Public sale; postponement of sale. § 1-339.21. Public sale by auction; time of sale. § 1-339.22. Public sale by auction; continuance of uncompleted sale. § 1-339.23. Public sale; when confirmation of sale of personal property necessary; delivery of property; bill of sale. § 1-339.24. Public sale; report of sale; when final as to personal property. § 1-339.25. Public sale; upset bid on real property; compliance bond. § 1-339.26. Public sale by auction; separate upset bids when real property sold in parts; subsequent procedure. § 1-339.27: Repealed by Session Laws 2001-271, s. 6. § 1-339.27A. Ordering resale of real property after sale or upset bid. § 1-339.28. Public sale; confirmation of sale. § 1-339.29. Public sale; real property; deed; order for possession. § 1-339.30. Public sale; failure of bidder to make cash deposit or to comply with bid; resale. § 1-339.31. Public sale; report of commissioner or trustee in deed of trust. § 1-339.32. Public sale; final report of person, other than commissioner or trustee in deed of trust. § 1-339.33. Private sale; order of sale. § 1-339.34. Private sale; exception; certain personal property. § 1-339.35. Private sale; report of sale. § 1-339.36. Private sale; upset bid; subsequent procedure. § 1-339.37. Private sale; confirmation. § 1-339.38. Private sale; real property; deed; order for possession. § 1-339.39. Private sale; personal property; delivery; bill of sale. § 1-339.40. Private sale; final report. Article 29B - Execution Sales. § 1-339.42. Clerk's authority to fix procedural details. § 1-339.43. Days on which sale may be held. § 1-339.44. Place of sale. § 1-339.45. Presence of personal property at sale required. § 1-339.46. Sale as a whole or in parts. § 1-339.47. Sale to be made for cash. § 1-339.48. Life of execution. § 1-339.49. Penalty for selling contrary to law. § 1-339.50. Officer's return of no sale for want of bidders; penalty. § 1-339.51. Contents of notice of sale. § 1-339.52. Posting and publishing notice of sale of real property. § 1-339.53. Posting notice of sale of personal property. § 1-339.54. Notice to judgment debtor of sale of real property. § 1-339.55. Notification of Governor and Attorney General. § 1-339.56. Exception; perishable property. § 1-339.57. Satisfaction of judgment before sale completed. § 1-339.58. Postponement of sale. § 1-339.59. Procedure upon dissolution of order restraining or enjoining sale. § 1-339.60. Time of sale. § 1-339.61. Continuance of uncompleted sale. § 1-339.62. Delivery of personal property; bill of sale. § 1-339.63. Report of sale. § 1-339.64. Upset bid on real property; compliance bond. § 1-339.65. Separate upset bids when real property sold in parts; subsequent procedure. § 1-339.66: Repealed by Session Laws 2001-271, s. 16. § 1-339.66A. Ordering resale of real property after upset bid. § 1-339.67. Confirmation of sale of real property. § 1-339.68. Deed for real property sold; property subject to liens; orders for possession. § 1-339.69. Failure of bidder to comply with bid; resale. § 1-339.70. Disposition of proceeds of sale. § 1-339.71. Special proceeding to determine ownership of surplus. Article 29C - Validating Sections. § 1-339.72. Validation of certain sales. § 1-339.73. Ratification of certain sales held on days other than the day required by statute. § 1-339.74. Sales on other days validated. § 1-339.75. Certain sales validated. § 1-339.76. Validation of sales when payment deferred more than two years. § 1-339.77. Validation of certain sales confirmed prior to time prescribed by law. § 1-340. Petition by claimant; execution suspended; issues found. § 1-341. Annual value of land and waste charged against defendant. § 1-342. Value of improvements estimated. § 1-343. Improvements to balance rents. § 1-344. Verdict, judgment, and lien. § 1-345. Life tenant recovers from remainderman. § 1-346. Value of premises without improvements. § 1-347. Plaintiff's election that defendant take premises. § 1-348. Payment made to court; land sold on default. § 1-349. Procedure where plaintiff is under disability. § 1-350. Defendant evicted, may recover from plaintiff. § 1-351. Not applicable to suit by mortgagee. Article 31 - Supplemental Proceedings. § 1-352. Execution unsatisfied, debtor ordered to answer. § 1-352.1. Interrogatories to discover assets. § 1-352.2. Additional method of discovering assets. § 1-353. Property withheld from execution; proceedings. § 1-354. Proceedings against joint debtors. § 1-355. Debtor leaving State, or concealing himself, arrested; bond. § 1-356. Examination of parties and witnesses. § 1-357. Incriminating answers not privileged; not used in criminal proceedings. § 1-358. Disposition of property forbidden. § 1-359. Debtors of judgment debtor may satisfy execution. § 1-360. Debtors of judgment debtor may be summoned. § 1-360.1. Execution on the property of debtors of judgment debtor. § 1-361. Where proceedings instituted and defendant examined. § 1-362. Debtor's property ordered sold. § 1-364. Filing and record of appointment; property vests in receiver. § 1-365. Where order of appointment recorded. § 1-366. Receiver to sue debtors of judgment debtor. § 1-368. Disobedience of orders punished as for contempt. Article 32 - Property Exempt from Execution. §§ 1-369 through 1-392: Repealed by Session Laws 1981, c.490. Article 33 - Special Proceedings. § 1-393. Chapter and Rules of Civil Procedure applicable to special proceedings. § 1-394. Contested special proceedings; commencement; summons. § 1-394.1. Special proceedings to determine authority to transfer structured settlement payment rights. § 1-395. Return of summons. § 1-396. When complaint filed. § 1-397. Repealed by Session Laws 1943, c. 543. § 1-398. Filing time enlarged. § 1-399. Repealed by Session Laws 1999-216, s.2. § 1-400. Ex parte; commenced by petition. § 1-401. Clerk acts summarily; signing by petitioners; authorization to attorney. § 1-402. Judge approves when petitioner is infant. § 1-403. Orders signed by judge. § 1-404. Reports of commissioners and jurors. § 1-405. No report set aside for trivial defect. § 1-406. Commissioner of sale to account in sixty days. § 1-407. Commissioner holding proceeds of land sold for reinvestment to give bond. § 1-407.1. Bond required to protect interest of infant or incompetent. § 1-407.2. When court may waive bond; premium paid from fund protected. § 1-408. Action in which clerk may allow fees of commissioners; fees taxed as costs. § 1-408.1. Clerk may order surveys in civil actions and special proceedings involving sale of land. Article 34 - Arrest and Bail. § 1-409. Arrest only as herein prescribed. § 1-410. In what cases arrest allowed. § 1-411. Order and affidavit. § 1-412. Undertaking before order. § 1-413. Issuance and form of order. § 1-414. Copies of affidavit and order to defendant. § 1-415. Execution of order. § 1-416. Vacation of order for failure to serve. § 1-417. Motion to vacate order; jury trial. § 1-418. Counter affidavits by plaintiff. § 1-419. How defendant discharged. § 1-421. Defendant's undertaking delivered to clerk; exception. § 1-422. Notice of justification; new bail. § 1-423. Qualifications of bail. § 1-424. Justification of bail. § 1-425. Allowance of bail. § 1-426. Deposit in lieu of bail. § 1-427. Deposit paid into court; liability on sheriff's bond. § 1-428. Bail substituted for deposit. § 1-429. Deposit applied to plaintiff's judgment. § 1-430. Defendant in jail, sheriff may take bail. § 1-431. When sheriff liable as bail. § 1-432. Action on sheriff's bond. § 1-434. Surrender of defendant. § 1-435. Bail may arrest defendant. § 1-436. Proceedings against bail by motion. § 1-437. Liability of bail to sheriff. § 1-438. When bail to pay costs. § 1-439. Bail not discharged by amendment. § 1-440. Superseded by Session Laws 1947, c. 693, codified as § 1- 440.1 et seq. § 1-440.1. Nature of attachment. § 1-440.2. Actions in which attachment may be had. § 1-440.3. Grounds for attachment. § 1-440.4. Property subject to attachment. § 1-440.5. By whom order issued; when and where; filing of bond and affidavit. § 1-440.6. Time of issuance with reference to summons or service by publication. § 1-440.7. Time within which service of summons or service by publication must be had. § 1-440.8. General provisions relative to bonds. § 1-440.9. Authority of court to fix procedural details. § 1-440.10. Bond for attachment. § 1-440.11. Affidavit for attachment; amendment. § 1-440.12. Order of attachment; form and contents. § 1-440.13. Additional orders of attachment at time of original order; alias and pluries orders. § 1-440.14. Notice of issuance of order of attachment when no personal service. § 1-440.15. Method of execution. § 1-440.17. Levy on real property. § 1-440.18. Levy on tangible personal property in defendant's possession. § 1-440.19. Levy on stock in corporation. § 1-440.20. Levy on goods in warehouses. § 1-440.21. Nature of garnishment. § 1-440.22. Issuance of summons to garnishee. § 1-440.23. Form of summons to garnishee. § 1-440.24. Form of notice of levy in garnishment proceeding. § 1-440.25. Levy upon debt owed by, or property in possession of, the garnishee. § 1-440.26. To whom garnishment process may be delivered when garnishee is corporation. § 1-440.27. Failure of garnishee to appear. § 1-440.28. Admission by garnishee; setoff; lien. § 1-440.29. Denial of claim by garnishee; issues of fact. § 1-440.30. Time of jury trial. § 1-440.31. Payment to defendant by garnishee. § 1-440.32. Execution against garnishee. § 1-440.33. When lien of attachment begins; priority of liens. § 1-440.34. Effect of defendant's death after levy. § 1-440.35. Sheriff's liability for care of attached property; expense of care. § 1-440.36. Dissolution of the order of attachment. § 1-440.37. Modification of the order of attachment. § 1-440.38. Stay of order dissolving or modifying an order of attachment. § 1-440.39. Discharge of attachment upon giving bond. § 1-440.40. Defendant's objection to bond or surety. § 1-440.41. Defendant's remedies not exclusive. § 1-440.42. Plaintiff's objection to bond or surety; failure to comply with order to furnish increased or new bond. § 1-440.43. Remedies of third person claiming attached property or interest therein. § 1-440.44. When attached property to be sold before judgment. § 1-440.45. When defendant prevails in principal action. § 1-440.46. When plaintiff prevails in principal action. §§ 1-440.47 through 1-440.56: Repealed by Session Laws 1971, c. 268, s. 34. § 1-440.57: Repealed by Session Laws 1971, c. 268, s. 34. §§ 1-441 through 1-471: Superseded by Session Laws 1947, c. 693, codified as §§ 1-440.1 through 1-440.57. Article 36 - Claim and Delivery. § 1-472. Claim for delivery of personal property. § 1-473. Affidavit and requisites. § 1-474. Order of seizure and delivery to plaintiff. § 1-474.1. Notice of hearing; waiver; permissible form of notice and waiver. § 1-477. Exceptions to undertaking; liability of sheriff. § 1-478. Defendant's undertaking for replevy. § 1-479. Qualification and justification of defendant's sureties. § 1-480. Property concealed in buildings. § 1-481. Care and delivery of seized property. § 1-482. Property claimed by third person; proceedings. § 1-483. Delivery of property to intervener. § 1-484. Sheriff to return papers in 10 days. § 1-484.1. Remedy not exclusive. § 1-485. When preliminary injunction issued. § 1-486. When solvent defendant restrained. § 1-487. Timberlands, trial of title to. § 1-488. When timber may be cut. §§ 1-489 through 1-492. Repealed by Session Laws 1967, c. 954, s. 4. § 1-493. What judges have jurisdiction. § 1-494. Before what judge returnable. § 1-495. Stipulation as to judge to hear. §§ 1-496 through 1-497. Repealed by Session Laws 1967, c. 954, s. 4. § 1-498. Application to extend, modify, or vacate; before whom heard. § 1-499. Repealed by Session Laws 1967, c. 954, s. 4. § 1-500. Restraining orders and injunctions in effect pending appeal; indemnifying bond. § 1-501. What judge appoints. § 1-502. In what cases appointed. § 1-502.1. Applicant for receiver to furnish bond to adverse party. § 1-503. Appointment refused on bond being given. § 1-505. Sale of property in hands of receiver. § 1-506. Repealed by Session Laws 1955, c. 399, s. 2. § 1-507. Validation of sales made outside county of action. § 1-507.1. Appointment and removal. § 1-507.2. Powers and bond. § 1-507.3. Title and inventory. § 1-507.4. Foreclosure by receivers and trustees of corporate mortgagees or grantees. § 1-507.5. May send for persons and papers; penalty for refusing to answer. § 1-507.6. Proof of claims; time limit. § 1-507.7. Report on claims to court; exceptions and jury trial. § 1-507.8. Property sold pending litigation. § 1-507.9. Compensation and expenses; counsel fees. § 1-507.10. Debts provided for, receiver discharged. Article 39 - Deposit or Delivery of Money or Other Property. § 1-508. Ordered paid into court. § 1-509. Ordered seized by sheriff. § 1-510. Defendant ordered to satisfy admitted sum. §§ 1-511 through 1-513. Repealed by Session Laws 1967, c. 954, s. 4. Article 41 - Quo Warranto. § 1-514. Writs of sci. fa. and quo warranto abolished. § 1-515. Action by Attorney General. § 1-516. Action by private person with leave. § 1-517. Solvent sureties required. § 1-518. Leave withdrawn and action dismissed for insufficient bond. § 1-519. Arrest and bail of defendant usurping office. § 1-520. Several claims tried in one action. § 1-522. Time for bringing action. § 1-523. Defendant's undertaking before answer. § 1-524. Possession of office not disturbed pending trial. § 1-525. Judgment by default and inquiry on failure of defendant to give bond. § 1-526. Service of summons and complaint. § 1-527. Judgment in such actions. § 1-528. Mandamus to aid relator. § 1-529. Appeal; bonds of parties. § 1-530. Relator inducted into office; duty. § 1-531. Refusal to surrender official papers misdemeanor. § 1-532. Action to recover property forfeited to State. § 1-533. Remedy and judgment. § 1-534. For and against whom action lies. § 1-535. Tenant in possession liable. § 1-536. Action by tenant against cotenant. § 1-537. Action by heirs. § 1-538. Judgment for treble damages and possession. Article 43 - Nuisance and Other Wrongs. § 1-538.1. Strict liability for damage to person or property by minors. § 1-538.2. Civil liability for larceny, shoplifting, theft by employee, embezzlement, and obtaining property by false pretense. § 1-538.3. Negligent supervision of minor. § 1-539. Remedy for nuisance. § 1-539.1. Damages for unlawful cutting, removal or burning of timber; misrepresentation of property lines. § 1-539.2. Dismantling portion of building. § 1-539.2A. Damages for computer trespass. § 1-539.2B. Double damages for injury to agricultural commodities or production systems; define value of agricultural commodities grown for educational, testing, or research purposes. § 1-539.2D. Civil liability for acts of terror. Article 43A - Adjudication of Small Claims in Superior Court. §§ 1-539.3 through 1-539.8: Repealed by Session Laws 1971, c. 268, s. 34. Article 43B - Defense of Charitable Immunity Abolished; and Qualified Immunity for Volunteers. § 1-539.9. Defense abolished as to actions arising after September 1, 1967. § 1-539.12. Immunity from civil liability for employers disclosing information.